For the first time at St. Matthew’s we are planning a display of Christmas cribs and we are inviting you to bring your Crib to church so that we can show what a wonderful diversity of cribs are owned and loved by members of the parish. The display will be open for public viewing from 11am on Saturday 15th. It will still be in place on Sunday 16th and Father Andrew will bless the cribs during the Parish Communion. 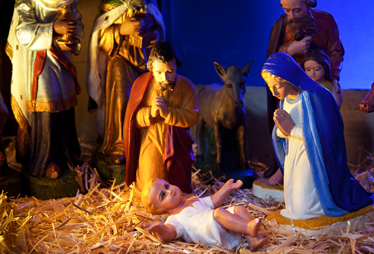 It will remain until after the Christingle Service (4pm – 5.15pm) when you will be asked to take your crib home. If you would like to take part in this celebration please pick up an entry form in church and pass it to Janet or Hilary, and it would be nice if you could provide a short description of the crib and its origin and history.